I love synchronicity: discovered this 4 Chambered Heart mosaic mandala on my last morning in Costa Rica. It was on the wall behind my room! I am inviting you to join me on an audacious journey: trusting the nakedness of embodied authenticity and discovering that vulnerability can be safe! We will use this course as a rallying cry, calling together a potent group of women to support and inspire each other towards Whole & Holy HeARTedness. By honoring our Whole Hearts we welcome and embrace all that is arising, here and now: both the light and shadow, the personal and “holy” transpersonal heart. While tending to our own personal, tender, beautiful hearts we will tend also to the collective heART, as we inspire each other toward Courageous, Life-affirming actions for ALL beings. We are a global group of women gathering from Costa Rica, Canada, Israel, Mexico, Brazil, UK, US... Currently, our ages range from 26-60. (Half of us have bodies under 40 and half over 50!) We have room for 1-2 more women. We will collectively create the schedule together to allow flexibility for summer travels (including mine). A second group is interested in a weekend day later in the summer or early autumn... how bout YOU? Each option will offer an intimate circle of 8 women. 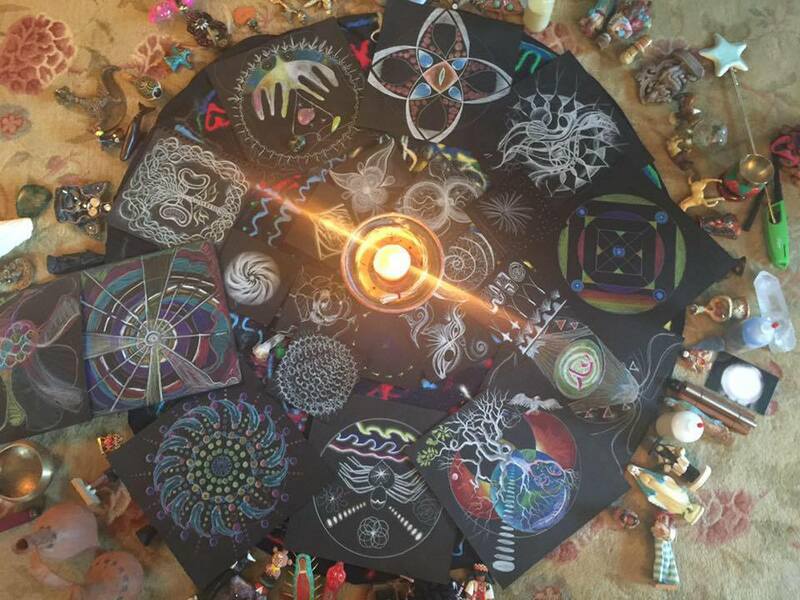 This course is itself a Living Mandala… it is alive… it is shape-shifting daily as I am, as we all are…. what will actually transpire will emerge with each one of you co-creating this circle. Each session will include meditations, energetic practices, sound healing, movement exploration, and contemplation of the physical/spiritual heart center. We will be prompted by the gateways of the Healer Archetype as mapped by Angeles Arrien, HeartMath, and other cross cultural vehicles; iRest will help support our container. ​iRest has evolved through a 4500 year tradition of Yoga Nidra meditation and is devoted to the tantric practices of yoking ourselves to the non-dual, embracing all of our human “embodied’ experience, sensual, emotional, mental and spiritual! 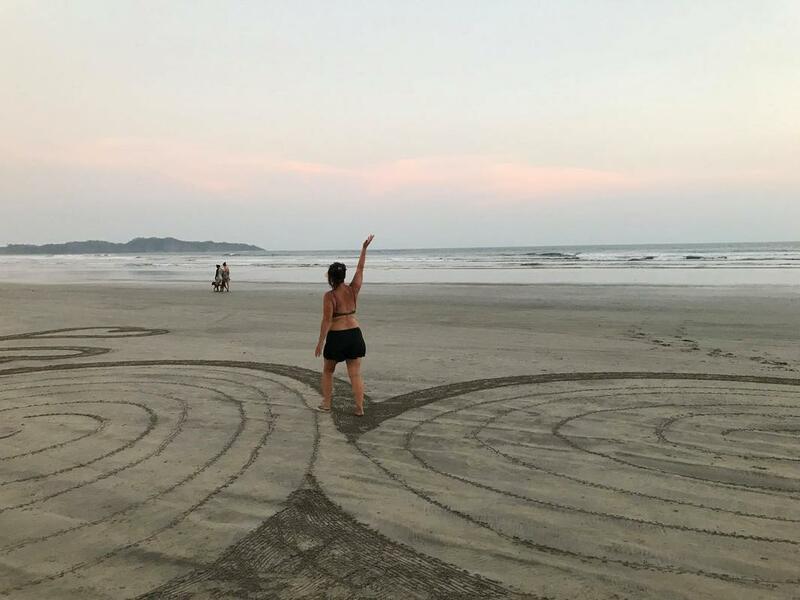 Each week we will enter the temple of our hearts, receive a unique transmission and manifest an energetic template (aka " luminous mandala") to catalyze what we are ready to plant, restore, harvest or compost. To assist in traversing these portals, we will explore different experiential modalities in sound and soma, inspired by many of wise women mentors (ie: Sensory Awareness, Continuum Movement, Sweat Your Prayers, Authentic Movement, Life/Art Process, Qigong). We will activate and strengthen new neurological patterns. We will Re~Turn to our Senses by attuning to and refining our sensual proprioceptive experiences (texture, temperature, pulsing energy, etc.) as well as by expanding our movement modalities. How our natural radiance wants to shine and pour itself out! ​We'll gather, every one to two weeks (or another agreed upon schedule by the group) for 7 inspiring and creative meetings. We will easily be able to use technology to gather, draw, and share our self-investigation and visual work... and, of course, encourage each other in new ways. Online, we'll launch our shared experience with our first Zoom teleconference gathering. 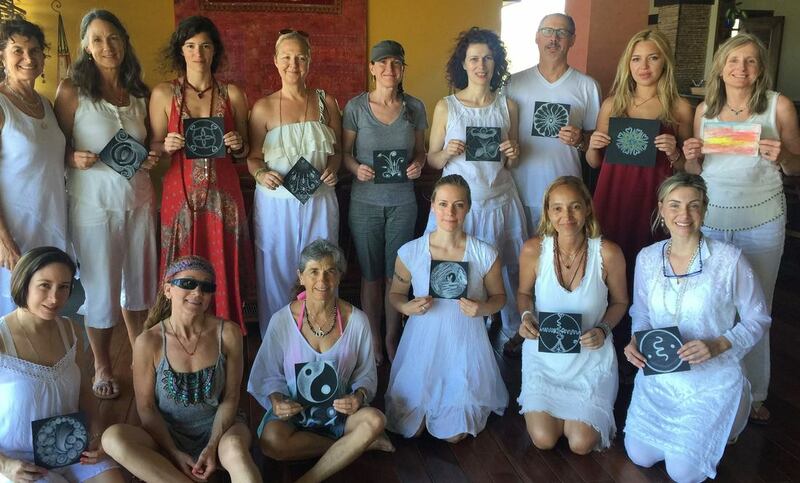 During that time, you'll receive visual instructions and techniques for creating your sacred Mandala art. And you'll receive your first set of practices for Embodying and Illuminating our Wholy HeARTS! Learn sound healing, embodied energetic practices from Sufi, Qigong, Yoga, Kabbalah and other ecstatic traditions. ​Each meeting will be an energizing, interactive process! You won’t just be sitting and looking at a screen. We will move, chant, engage in active imagination/ meditation, Sufi practices, participate in co created ritual, and be visually inspired. We will wiggle, giggle, cry, and sigh together! The groups are very intimate (limited to 8). Even for the online class, you will feel like we are all in the same room together. Each session will focus intently on our individual investigation, integration, and artistic expression of one of our quadrants of the Four-Chambered Heart. 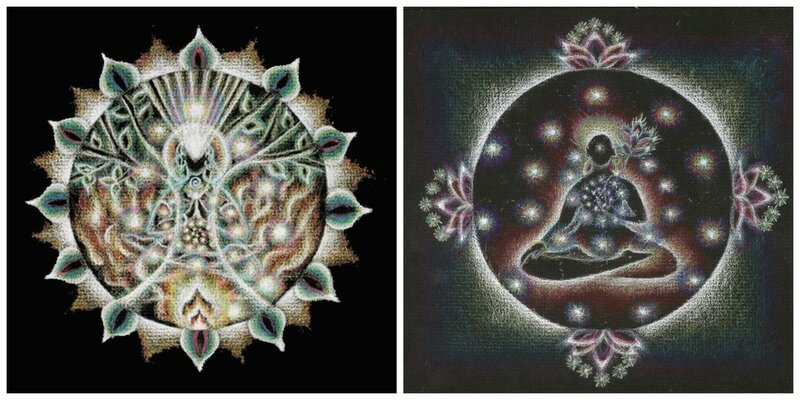 There will be 3 mandalas drawn during the series, (more if you like) -- one for your course intention, one release mandala (which we will ritually burn) and one large mandala with the 4 quadrants of the heart, plus the center. There will also be handouts with inspirational exercises, quotes, meditations and music to inspire you in between sessions. Online: After you register, you will receive a materials list (approx. $25) to purchase locally or online. In-person group will be provided with all materials. 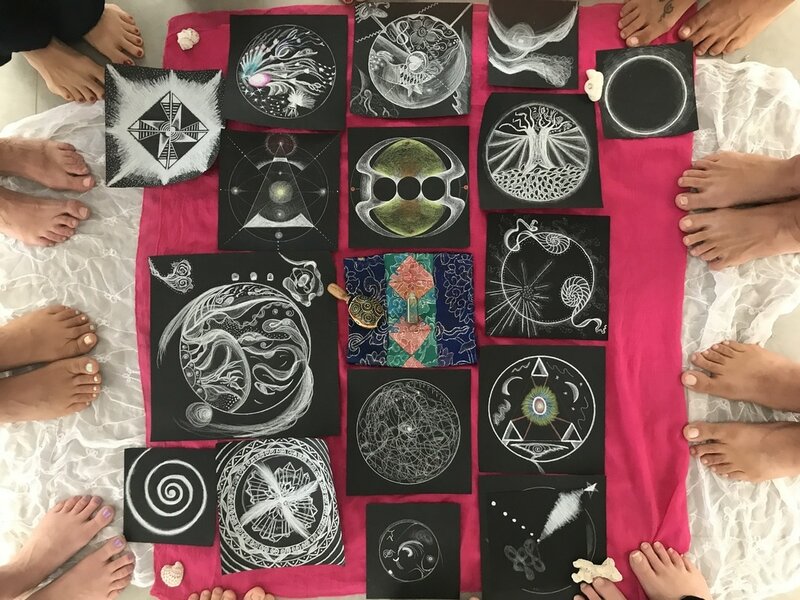 Between each class gathering we will engage individually in instructed self-observation, journaling, embodied practices, meditation and visualizations. 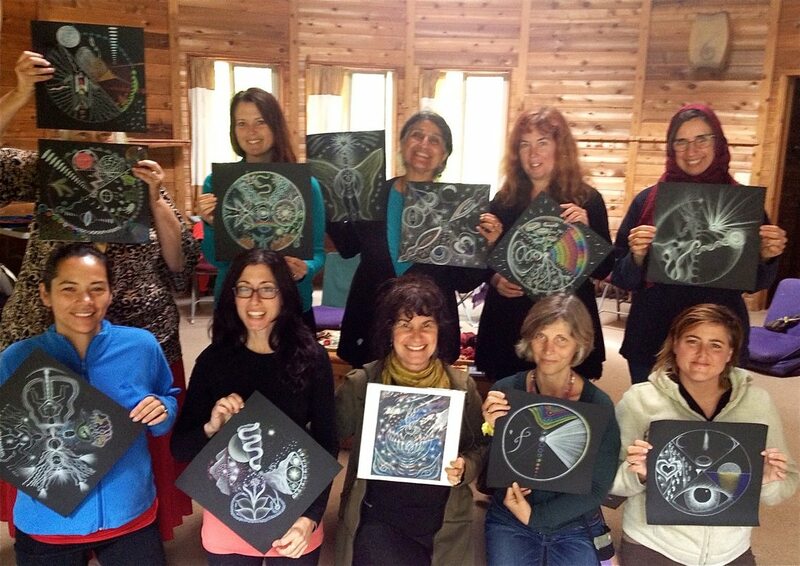 Then we will allow our discoveries to find creative expression in our Mandala drawings. New revelations will also emerge through the drawing process. If you miss a call you still fully participate! If you want to be in this course but because of timezone or work hours are not able to join "live," I will check in with each of you personally via Skype every 2 weeks. ONLINE: Class will last 2 hours and 30 minutes. The last 30 minutes of each call is for drawing together while I play inspiring, energizing music and we continue to resonate together in a morphic field! IN-PERSON: Our group will meet for 3 hours and 30 minutes. There is a partial work scholarship available. Please email Julia to be considered.